Supporting the health of animals through balanced and wholesome ingredients is what we do. Masterfeeds has been a leader in quality livestock and poultry animal nutrition in Canada for over 85 years. 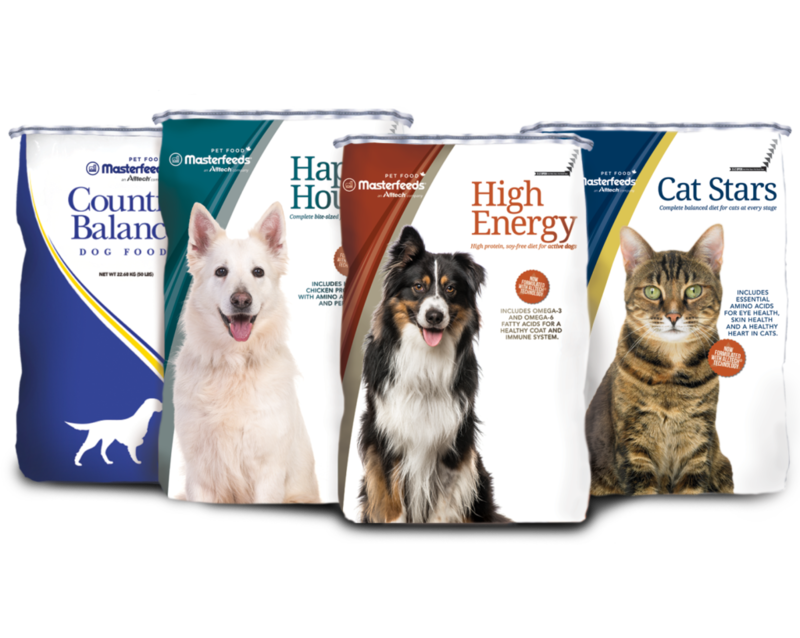 Continuing the tradition, Masterfeeds Pet Food has been carefully formulated to offer ingredients that support the good health of dogs and cats, while continuing to be one of the best values for the dollar in the Canadian pet food marketplace. We are proud to continue a long tradition of safe and healthy animal nutrition for your family companion. Please find a full list of the formulations in our line of Masterfeeds Pet Food. For more detailed feeding guidelines, refer to the product package or contact your Masterfeeds Account Manager or nearest Dealer.